Want to Buy Wood Pallets in Michigan? Here is what you need to know. Whether you are experienced with buying pallets and just looking to get better estimates, or you are looking for some help to make your first pallet purchase, this article will give you a good idea of everything you need to consider before buying a wood pallet and where to go to get expert pallet advice. If you are a business looking to buy wood pallets in bulk, you need to seek out a pallet manufacturing company. A good local pallet company is likely to offer the best personal service, especially if you are looking for a custom-made pallet. 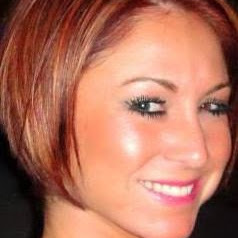 Ask about their on-site services. The best pallet suppliers will have large facilities that offer: pallet heat treating, pallet reconditioning, recycling, and pallet management programs. They should also have the capability to build custom wood pallets and crates to any specification. Once you have chosen a pallet supplier you need to get an estimate from them. 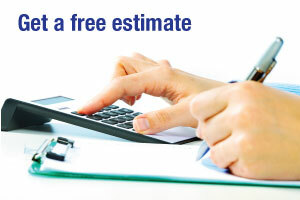 The estimate process and price can vary greatly depending on what it is you need. If you have never purchased pallets before, an experienced pallet sales person can guide you in the right direction. Here are some common things a pallet company needs to know to produce an estimate. Do you need a standard size pallet? Your industry or product will dictate whether you need a standard or custom sized pallet. 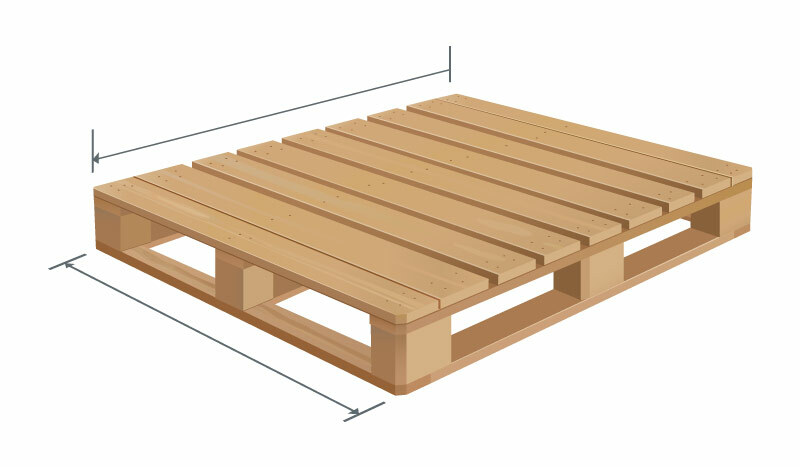 There are several standard pallet sizes used in North America. 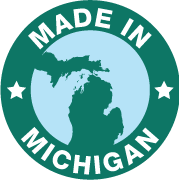 The most common in Michigan are the 48” x 40” GMA pallet, and the 48” x 45” automotive industry pallet. Cost is a huge factor for most businesses and the savings from buying reconditioned pallets is substantial. Reconditioned pallets have been repaired and strengthened to function the same as a new pallet. However, there will be visual differences between a repaired and new pallet. Which is right for your business will depend on how the pallet is used. See if reconditioned pallets are the best choice for your business. Are you shipping your pallets out of the country? International shipping requires wood pallets be treated for pests. Heat treating the pallets is a common way to ensure the safety of pallet wood for shipping. 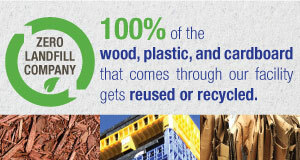 All wood pallets must be treated in a ISPM-15 certified heat treatment facility. 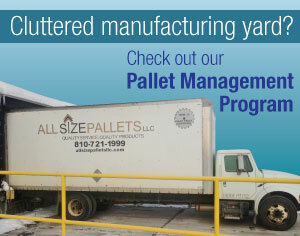 Again, make sure the pallet company you choose does this in-house and is indeed a currently certified facility. The length and width of the pallet – length refers to the runner or stringer length, and width refers to the top board length. The number of top and bottom boards and their dimensions – you need both the width and thickness of the boards. The number of stingers to use – 3 is common, but heavier loads require more stringer supports. 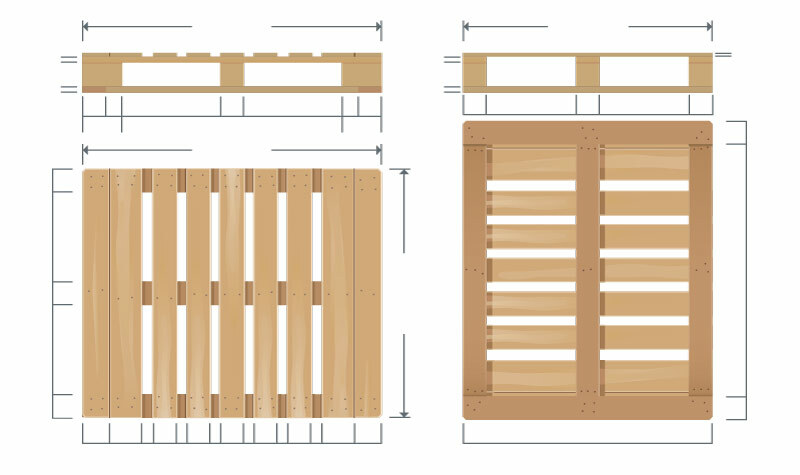 2-way or 4-way entry – 4-way pallets have notches cut from the stringers to allow for forklift entry from all sides. Soft wood or hard wood – soft wood is lighter, hard wood supports heavier loads. How many pallets do you need? As with any estimate, the pallet company will need to know the quantity of pallets you want to buy. Need pallet delivery or pick up? You will need to discuss pallet delivery. Some smaller pallet companies may not have reliable ways to deliver the pallets, or maybe your company would prefer to pick them up. Typically, good pallet companies will have multiple trailers to deliver pallets to their customers. You may even negotiate a pallet management program wherein a trailer full of new pallets is dropped at your site and picked up after your company fills it with unusable pallets or recyclable waste. 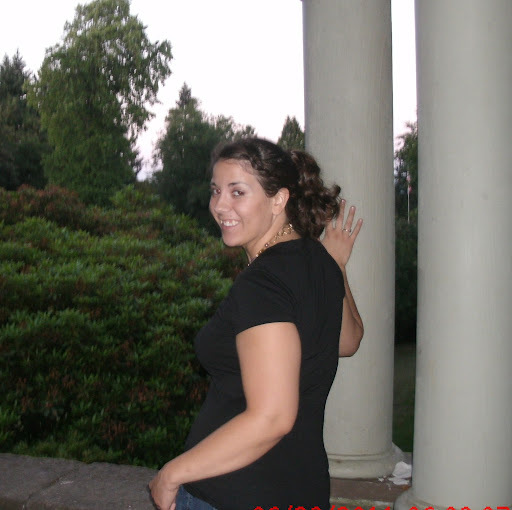 Ready to buy wood pallets? Whether it is your first time buying pallets, or you are an experienced purchaser looking for the best wood pallet company for your business, All Size Pallets in Imlay City, Michigan is here to help. We encourage all to inquire about buying wood pallets here.